Reviewers are often exhorted to give little or no consideration to the external aspects of the work they're reviewing—to cover design, blurbs, marketing campaigns, and where in the bookstore it's been shelved. The third or fourth time one receives an advance reader's copy whose cover boasts of the marketing blitz and nationwide author tour promoting the book in question this adage can become frustrating, but on the whole it is sound and sensible advice. A work ought to stand, or fall, on its own merits, not the tools employed by its publishers to sell it. Kelly Link's third short story collection, Pretty Monsters , proves a challenge to this approach. It is not a straight follow-up to Link's previous two collections, Stranger Things Happen (2001) and Magic for Beginners (2005), which between them have rightly positioned her as one of the foremost writers of genre short fiction in her generation, but rather combines stories from both of them with previously uncollected and unpublished work. What's more, both its marketing and contents aim the collection at the young adult market. The latter seems to me like a strange and unlikely fit. Superficially there is some sense to it—Link is an author of plain, straightforward sentences peppered with pop culture references, a combination one might easily imagine appealing to tweens and young teens (though it occurs to me that authors of my generation often seem to forget that even today's older teens would have been barely in grade school when shows like The X-Files and Buffy the Vampire Slayer premiered in the mid-90s). The stories I read at that age—Asimov's robot stories and the Tales of the Black Widowers, O. Henry, the adventures of Sherlock Holmes—were all written in similarly utilitarian prose. However, they also possessed a clarity of direction and purpose that Link's fiction deliberately avoids. Her sentences may be plain and straightforward, but her paragraphs and pages are slippery and surreal, with nary a neat, clearly spelled-out conclusion in sight. The very qualities that make Link such a fascinating author of adult fiction seem to me to make her entirely unsuitable for writing children's fiction. I say this, of course, as someone who is neither a child nor a parent, and who knows few children, either personally or professionally, and my opinion of what children—who are anyway hardly a group of uniform tastes and interests—will or will not like should thus be taken with a grain of salt. 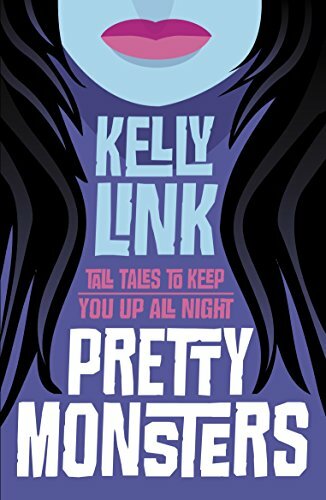 When I come to review Pretty Monsters for Strange Horizons , I should review it on the level of what it offers to adult readers, to fans of Link's previous work and those looking to become acquainted with her. The answer is a mixed bag, one whose weakest offerings seem hobbled by the desire to be kid-friendly. All of the stories in Pretty Monsters have child protagonists, and the reprinted stories—the title piece and "The Faery Handbag" from Magic for Beginners and "The Specialist's Hat" from Stranger Things Happen —may have been selected for no other reason than that they match this criteria. Both, however, are quintessentially Link-ian stories, dense with surreal imagery and uncompromisingly open-ended, and their presence in Pretty Monsters serves to show up some of the more conventional pieces in the collection. There has always been a great deal of potential for preciousness in Link's matter-of-fact prose, and it's not always kept in check here. "The Wrong Grave," for instance, in which a teenager called Miles digs up the grave of his girlfriend to retrieve the poems he buried with her and ends up digging up the wrong person, is deeply infected with twee: "It would have made Bethany laugh that Miles Googled grave digging in order to educate himself. He read an Edgar Allan Poe story, he watched several relevant episodes of Buffy the Vampire Slayer , and he bought Vicks VapoRub, which you were supposed to rub under your nose" (p. 5). And the three stories that use invented fantasy worlds, whose structures consciously follow the familiar forms of a YA story—the child who apprentices with a wizard in "The Wizards of Perfil," the young girl discovering her glamorous and amoral mother's secrets in "The Constable of Abal," the children who discover a gateway to a fantasy world in "The Faery Handbag"—are both cute and self-conscious. Both "Wizards" and "Constable" successfully evoke danger—in the former, the war that forces cousins Halsa and Onion to flee their home with the surviving members of their family, and whose dangers and horrors continue to dog them; in the latter, the dangerous trek across the desert attempted by sixteen year old Ozma and her mother Zilla after Zilla's grifting and blackmailing in the city of Abal backfires on them, during which Zilla forces Ozma to dress as a boy and their servant is murdered by robbers—but the obviousness with which Link proceeds towards their neat, preordained endings, in which all questions are answered and all the children's problems are solved, robs them of much of their significance. "The Faery Handbag," which won the Hugo, Nebula, and Locus awards in 2005, touches on a fantasy world, but is more successful than either "Wizards" or "Constable" because it masterfully interweaves a conventional story, in which the narrator, Genevieve, tells us about her grandmother Zofia's magic handbag, which is also the entryway to a magical kingdom, with an unconventional problem—Genevieve's sort-of boyfriend, Jake, distressed over the death of his mother, has gone into the handbag, which has now been lost, and Genevieve is desperate to recover both—that has no solution within the story. It is also, however, the most accessible story Link has written, with very little weirdness for its own sake, and I am thus (a little churlishly, I admit) less fond of it than her other work. In contrast, "Monster," which is set entirely in the present-day real (well, real-ish) world, in which a troupe of campers trying to earn their overnight badges encounter something that goes bump in the night, is one of the best stories in the collection. It's a scary and carefully observed piece, whose close attention to details—the camper who sinks into a muddy patch of ground and loses his sneaker, the counselor's relationship with "a girl from Ohio who was six foot two and played basketball" (p.189)—only serve to ramp up the tension as the troupe approaches the campground where a monster is said to roam. The story's final scenes, in which the monster slays most of the troupe and then stops to talk with the one camper who has amused it by wearing a dress, is both hilarious and terrifying. The three stories, however, that truly make Pretty Monsters a necessary volume for Link fans are the novellas: "Magic for Beginners," "The Surfer," and the title story. Together they form a metafictional triptych in which Link reflects on her genres and on the popular culture that informs so much of her work. "Magic for Beginners," which won the Nebula award and was nominated for the Hugo award for best novella, is a story about fannishness, and about the way in which we engage with the stories we love, particularly as young people. The story begins by telling us about a television series called The Library , about a boy called Jeremy Mars, his family and friends. Within this naturalistic family drama, whose plotlines include Jeremy's parents' troubled marriage and his tentative romantic forays with two female friends, there is another Library , a fantastic, pirate television series with which Jeremy and his friends are obsessed. Starring the enigmatic character Fox, The Library features battles with pirate-wizards and villains called The Forbidden Books. In the most recent episode of The Library , Fox appears to have died, and the question of whether that death is real (and of how real the death of a fictional character can ever be) haunts Jeremy and his friends as they go about their everyday lives. As the story progresses and as the plotlines of the naturalistic Library become more tangled—Jeremy's mother, upset that his father, a horror writer, wrote him into a story and killed him, is planning to take Jeremy on a road trip to Las Vegas—the fantastic Library begins peeking into the characters' lives. Jeremy begins getting phone calls from someone who claims to be Fox, and who asks him to perform certain tasks for her so that she can return to life. This is, of course, the culmination of the same dream we all had as young, obsessive fans—the wish to be drawn into the world of our favorite stories (though perhaps it is Fox who is being drawn into the world of Jeremy's story). At the end of the story, the two shows come together in a Buffy -ish blend of soap and supernatural, with Jeremy, having completed the task Fox set for him, in Las Vegas, on the phone with his friends as the next episode of The Library begins, waiting to see whether the character will return, simultaneously an actor in Fox's story, a consumer of it, and an actor in his own story. The magic of "Magic for Beginners" is that even as it makes us think about the way we interact with stories and fall in love with them, it also makes us fall in love with Jeremy and Fox's stories. "The Surfer," which first appeared in the YA science fiction anthology The Starry Rift , edited by Jonathan Strahan, is Link's first foray into science fiction, and in typical Link-ian fashion it is both a science fiction story and a story about science fiction and being a science fiction fan. Set in the near future, the story is narrated by Dorn, a teenager waiting in quarantine with his father before being granted entry to Costa Rica. Dorn's father, a doctor, has kidnapped his son because he believes that another outbreak of superflu—a different strain of which has already killed Dorn's mother and older brother—is imminent, and because he wants to join the commune of Hans Bliss, a surfer who encountered aliens in Costa Rica and is awaiting their return there while preaching peace and love. Dorn, a talented soccer player who plans to become a world-class athlete, is angry at the disruption to his training schedule, but grumpily sets about getting comfortable in the warehouse where the passengers from his plane have been quarantined, making friends with Naomi, an American student at the University of Costa Rica (capitalizing on Bliss and on a booming hi tech industry, the country has become a global power and a much-sought immigration target, and its university has a well endowed and prestigious computer science program), and Lara, a Costa Rican girl his age. Link's descriptions are, as usual, meticulous and evocative—the matter of fact attitude of the guards set to maintain the quarantine, the patients Dorn's father sees in the makeshift clinic he establishes, the wildlife, including bats and crabs, that periodically invades the hangar ("They went sideways, their pincers held up and forward. Everybody stood on their cots and took pictures. When the crabs got to the far wall, they spread out until they found the little cracks and gaps where they could squeeze through. A boy used his shirt to catch three or four crabs; some of the kids had started a petting zoo" [p. 248-9].) She creates a sense of normalcy, of an ordeal that is tedious but not awful, that is even pleasant at points—when the passengers start an English-Spanish club, or when Dorn sets up soccer matches with other kids and some of the guards—even as huge events unfold around them. The plague Dorn's father feared strikes, and as the passengers wait comfortably in quarantine the death toll in the US and parts of Costa Rica begins to rise. The characters are living through a science fictional event, and focusing on the mundane (an attitude with which I can sympathize—I am writing this review in Niall Harrison's apartment in Oxford, where for five days I've been waiting for the skies to clear following the eruption of the volcano Eyjafjallajoekull). "Science fiction is always good for taking your mind off how bad things are" (p. 245), Dorn tells us as he passes around his father's collection of beat up science fiction paperbacks to the other stranded passengers. The outdated futures (and the outdated format—the characters mostly use electronic readers) are funny and comforting, even as the actual future grows dimmer and more uncertain. The characters in the story plan for the future as a way of denying that uncertainty—Dorn's father decides to wait for the aliens with Hans Bliss, Naomi furiously works at her degree while lamenting her slim chances of snagging a husband with Costa Rican citizenship, Lara wants to become an astronaut, Dorn is learning Japanese towards the day that he's recruited by a soccer team from Japan—but as the ending of "The Surfer" reveals, these are all stories, imaginary futures made obsolete by unforeseeable events. "The Surfer"'s conclusion reiterates both the futility and the necessity of the genre—it can never predict the future, but without it that future's strangeness and unknowability would be too much to bear. "Pretty Monsters," the sole original piece in the collection, begins with a girl called Clementine being rescued from drowning by an older boy named Cabell Meadows. Suitably awed, Clementine concludes that "[she] and Cabell Meadows were meant to be together" (p. 327). The point of view then shifts to Lee, a Long Island private school student who along with her friends Bad, Nikki, and Maureen, is preparing to give the new girl in their school, a diplomat's daughter called Czigany, a traditional initiation ritual called an Ordeal. Lee is also reading a book which turns out to be Clementine and Cabell's story, but which she describes as a werewolf romance. As Clementine's story progresses—she grows older and makes more and more determined passes at Cabell, now an animal rights activist, and is repeatedly rebuffed—Lee and her friends take Czigany and her younger sister Parci, home for the day with an ear infection, to a farm owned by Lee's ex-hippy aunt, and prepare them for their Ordeal, which will last late into the night despite Czigany's increasingly frantic demands that they be home by five, and her mysterious claims that she and her sister have 'a condition.' Clementine's story ends with Clementine following Cabell to Romania, where he's dropped off the map after marrying a local woman who lives in a remote castle, and finding him transformed and possibly dangerous. Even as Lee mulls this unclear ending, her aunt's barn, where she and her friends are waiting out Czigany and Parci's Ordeal, is besieged by wolves, scrambling to get in. "Pretty Monsters" is quite obviously Link's response to the Twilight phenomenon, and more specifically to the reaction often voiced by feminist readers of the books, that what the author intends as a romance reads to them like a work of horror. Lee thinks, about Clementine's story, that "It's like watching one of those horror movies, where you know the person is doing something stupid and you can't stop them from doing it, you just have to go on watching them do it. Where you know that the monster is about to show up, but the person acts as if nothing is wrong. As if there is no monster" (p. 384). Which is, of course, what she and her friends are doing in ignoring Czigany's demands that she be returned home. But the same inevitability that accompanies Lee's story is also present in romances—we know that the lovers are meant for each other and that their story will end with a kiss just as the horror story will end with carnage. There is even, in Clementine's story, an attempt to warn her of the monster in her path, when her friends try to explain to her that Cabell Meadows is not the catch she thinks he is. Whether a story is romantic or horrific, "Pretty Monsters" concludes, is in the eye of the beholder, a point it brings home with its coda, in which Lee's story too turns out to be a work of fiction, being read, for the third or fourth time, by a pair of girls who may also be werewolves, and who don't quite know what they're rooting for—for Lee and her friends to survive or for Czigany and Parci to eat them—or even who the real monsters are. Perhaps, as Lee's aunt tells her, Lee is the monster: "You and your friends, all of you. Pretty Monsters. It's a stage all girls go through. If you're lucky you get through it without doing any permanent damage to yourself or anyone else" (p. 360). And permanent damage, Link concludes, can mean falling in love with the wrong boy and following him to Romania, or getting yourself torn limb from limb. 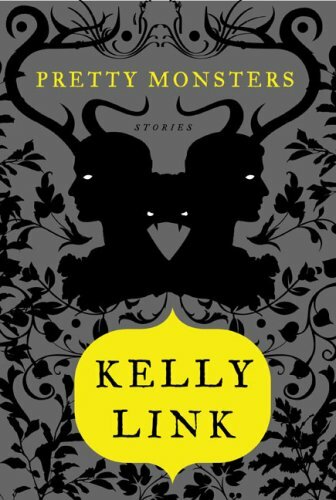 For a Kelly Link fan, the experience of reading Pretty Monsters is a wrongfooting one, simultaneously disappointing and exhilarating. The best stories in this collection are as fine a demonstration of Link's powers of invention and observation as anything she's ever written, while the worst give the impression of a writer who is holding herself back or trying a new direction that doesn't quite suit her. The collection is certainly worth reading, however, for pieces like "Monster," "The Surfer," and "Pretty Monsters," which devout Link fans will absolutely not want to miss. But aside from that I have no argument, except to note that for all their weaknesses -- and you are quite right, the neat wrapped-upness of the conclusions of "Constable" and "Wizards" is a weakness in them -- those two stories still delighted me. I enjoy Link's stories greatly, but I don't think the hit-and-miss nature you note in Pretty Monsters is unique to Pretty Monsters. When I lend Link to friends, I always tell them that some of the stories are amazing and some are meh. The good makes up for the bad, however. I'm only through the first seven stories so far. I like it overall - like her metafictionl playing and the 'iceberg' theory of keeping parts of the story the author knows deliberately suppressed to create enigmatic mystery. However, I agree the stories are hit and miss. 'The Wrong Grave' is a bad start - weightless. Successful atmosphere alone make 'Wizards' good. 'Magic for Beginners' is definitely good, interesting, tho I think some parts of the end feel a bit off, break the spell. I really liked 'Faery Handbag' - one of the better ones - there is more going on here again than the average reader realizes. Same with 'Specialist's Hat' - economically creepy and good. 'Monster' like 'Grave' is weightless, a misfire, contrived. 'The Surfer' conceptually is great and sticks in the mind - tho unlike other stories I liked here I didn't actually enjoy reading it, was anxious for it to end, didn't like any of the characters nor dislike them enough to find them interesting. Her ending tho as usual ties things up with a twist and recommends additional thinking about it. lastly, I think some writers can write both genders, some can't - I don't really feel Kelly Link successfully pulls off as fully believable her imagined boy characters.